FTP (File Transfer Protocol) is the most popular protocol to transfer files (download and upload) from one system to another system. It provides the fastest way transfer files. There is much application available on Linux and windows to FTP services like vsFTPd, proFTPd for Linux, FileZilla Server for windows. There are various ways to connect to the FTP server, Also you can find multiple free tools on the internet to work with FTP. But system admins know the power of command line. This article will help you to how to connect to FTP server using the command line and Download and Upload Files using FTP protocol between FTP server local system. Remember that FTP is not a secure protocol. We recommend using SFTP for transferring files security. Visit below links to how to use SFTP. 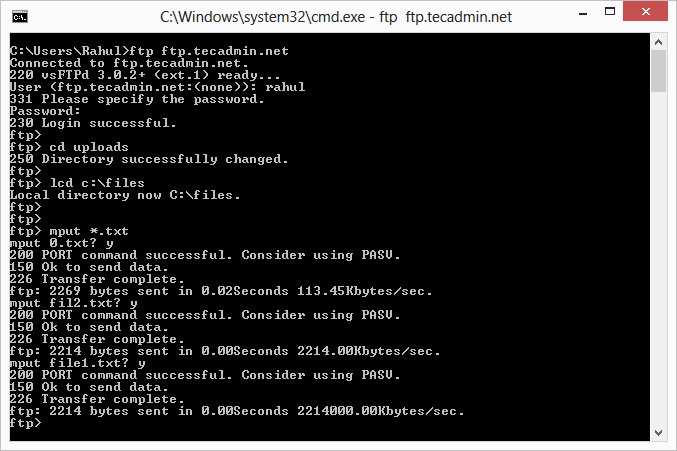 To connect to any FTP server from windows open its command prompt and for Linux open terminal window. Now you have required IP or Hostname of FTP server and login credentials to connect with a specific user. 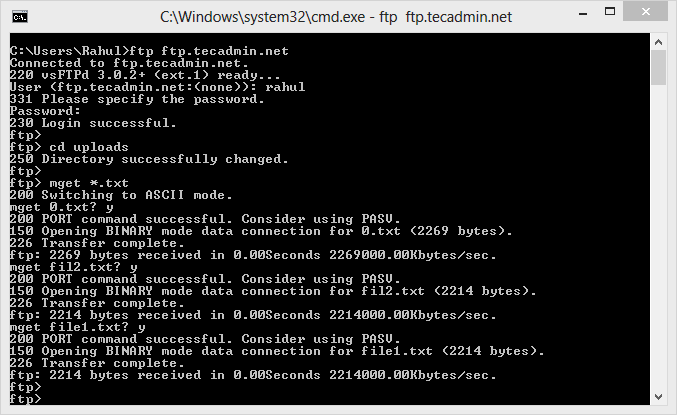 To upload file on FTP server use put command from FTP prompt. First, navigate to the desired directory on FTP server where to upload a file and use the following command. It will upload local system file c:\files\file1.txt to uploads directory on FTP server. To upload multiple files to FTP server we use mput command from FTP prompt. We can specify wildcard character to upload multiple files to the server at a time. First, navigate to the desired directory on FTP server where to upload a file and use the following command. It will upload local system files with .txt extension in c:files directory to uploads directory on FTP server. To download multiple files from FTP server, we use mget command. Using that command we can download more than one files at a time. To download multiple files specify wildcard character for specifying directory name do download all files from the directory. Hi the article is useful i am able to put files on the server but getting > R:I/O Error on getting it .Please Revert if you have any information regarding the same. File is saved at last specified directory from an lcd (local change dir) command within the ftp session. I am able to upload file using ftp client file zilla. Can you guide me what’s wrong here ??? Nice article , I am thankful for the information . Does anyone know where I might get ahold of a template TAR-2003 example to type on ? ftp: 16 bytes received in 0.00Seconds 16000.00Kbytes/sec. Nice article. But i actually use an android phone. How can i do it from my phone? guys can anyone help me???? how we can download a file from internet using puppet script? Upload file to Unix,from windows.My script is in unix.How can i proceed further ? If you’re on linux you must type the remote file name to be able to upload it. Thanks for ur article.But I have a doubt in http://FTP.I am working as SAP admin in a private company.I need to upload files through http://FTP.They give IP address but while am trying to upload its asking password.How to get the password?Please reply as soon as possible. 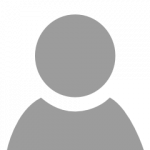 Ask to person for password, who provides ftp server details. How to download a particular file from ftp. When ever I try to download, I had to download all the directories present in it. hello rahul , i appreciate your work.thanxs a lot. i was workin with ftp command and i am not able to get through it. everytime i connect to techadmin.net it says..connection time out. also what about the login and password ?? please clarify how can i use the ftp command for downloading movies or exe files from other websites.